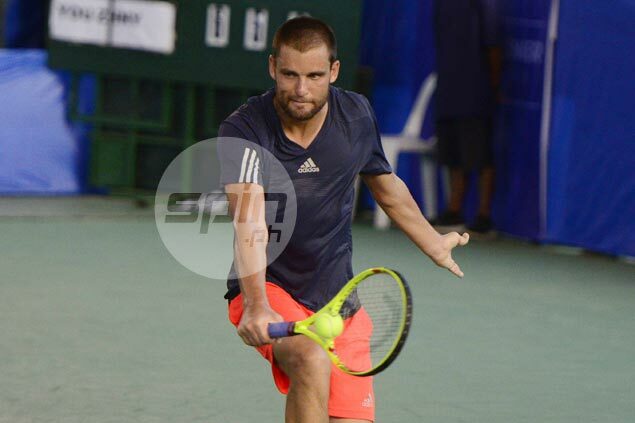 MIKHAIL Youzhny ended the run of Marco Chiudinelli after winning the final, 6-4, 6-4, on Sunday in the ATP Challenger Philippine Open men’s singles title at the Rizal Memorial Tennis Center. The second-seeded Russian, who was once ranked No. 8 in the world, showed his might over the Swiss netter to take home the singles crown of the first ATP Challenger tournament in the Philippines since 1994. Chiudinelli couldn’t find his form that saw him beat ranked players including No. 1 Lukas Lacko and No. 4 Go Soeda, committing five double faults in the final of the US$75,000 tournament sponsored by Cebuana Lhuillier, Philippine Sports Commission, Philippine Tennis Association, Dunlop, Chris Sports and TV5.